Sam Scholl, who’s been USD men’s basketball team‘s interim coach since Lamont Smith’s resignation last month, was announced Monday as the Toreros’ new basketball coach. Scholl is the school’s 13th head coach in the program history and sixth since USD moved to the NCAA Division I in 1979. The 40-year-old Scholl has a history with the Toreros. He played ball at USD from 1998 to 2000 and spent seven seasons on the Toreros coaching staff under former coach Brad Holland. He helped the 2002-03 Toreros team take home the West Coast Conference Championship and reached the 2003 NCAA Tournament for only the third time in the school’s history. Scholl spent eight seasons as assistant coach in Santa Clara before returning to USD in 2015. 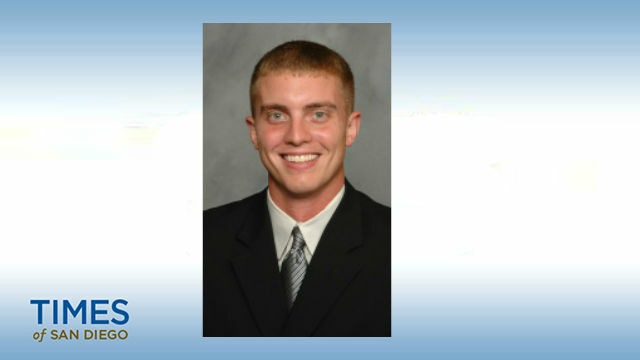 He served for three years as an assistant under Smith, his former teammate at USD. When Smith resigned after he was arrested for domestic violence charges in San Francisco in February, Scholl was named as interim coach and led the Toreros to a 2-2 record in the postseason, including a run to the quarterfinals of the CollegeInsider.com Postseason Tournament. A native of Gig Harbor, Washington, Scholl completed his undergraduate degree in Sociology at USD in 2001. Before USD, he played two seasons at Tacoma Community College in Tacoma, Washington, and was the point guard on the 1996 2A Washington State championship team for Gig Harbor High School. Scholl is married and has three daughters. He will be officially introduced as the Toreros’ new coach Tuesday.